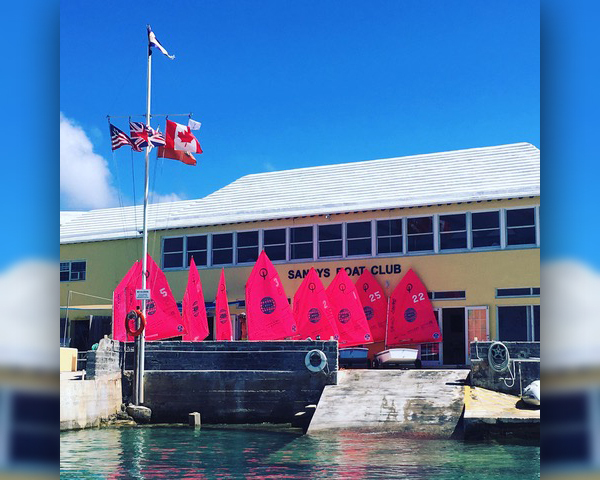 The Bermuda Education Network [BEN] and Sandys Boat Club [SBC] announced new sailing partnership to create year-round youth sailing program in Somerset and connections with West End government primary schools. “Youth sailing is flourishing in the West End, thanks in large part to the America’s Cup effect. Sandys Boat Club [SBC] has received sponsorship and gifts of equipment which will allow it to run sailing lessons year-round,” the announcement said. 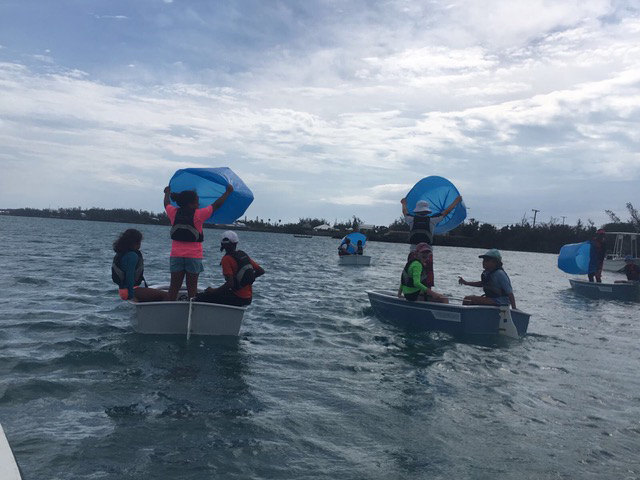 “Sailing camp will now be available throughout the summer and will continue with after-school lessons throughout the Fall and Spring terms and more vacation programs during school breaks in October and April. Interested sailors should contact sbcsecretary@logic.bm for more details. “America’s Cup has led to an influx of support and opportunities,” said club secretary Lisa Siese. “It’s provided a massive boost as until last year we had suspended sailing lessons due to uncertainties in demand and resources. 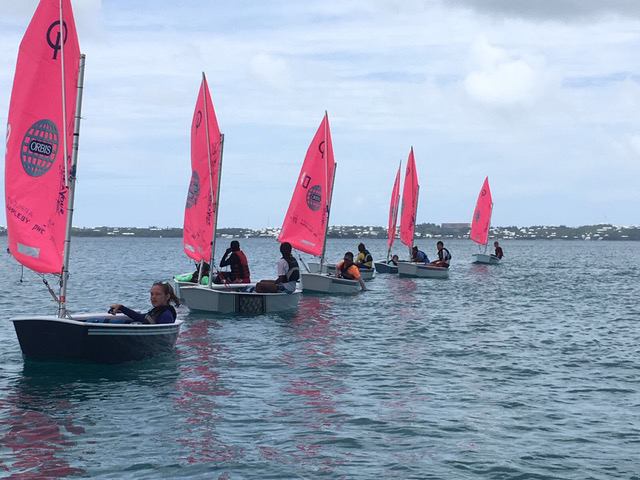 Bermuda Education Network [BEN] said the initiative sponsored by Kattegat Limited will dramatically increase the number of children from all backgrounds who will have an opportunity to learn how to sail. Last year BEN sponsored 50 children to learn how to sail and they expect that number to double in the next twelve months. BEN’s new Sailing and Expeditionary Learning Teacher, Lee Timothy, will lead the youth sailing programs at SBC and also provide support to BEN’s Horizons expeditionary learning program. “BEN’s mission is to open up opportunities for children at government primary schools. The SBC partnership is one of our most exciting projects as it ensures that any government primary school students in the West End who want to continue with sailing are not prevented from succeeding due to lack of funding.” said Becky Ausenda, BEN Executive Director. Jo Buss, Club Development Officer for the Endeavour program and WaterWise Schools initiative said: “The community sailing team congratulates BEN and SBC for their new partnership which we know will make a great contribution to sailing in Bermuda. We’ve been delighted to be able to support with equipment and hope to continue to collaborate with other local clubs through the Endeavour Program and by helping to foster community partnerships. Tom Herbert-Evans Community Sailing Manager said, “The program would not have been possible without the support from the Endeavour program including Magic Marine, North Sails and Versadock, Oracle Team USA who refurbished the 15 training boats and support from Artemis Racing and AC Race management, which has been critical.